BERLIN/FRANKFURT -- Germany must ensure it is not exploited by other countries, its economy minister said after China-based Geely bought a $9 billion stake in domestic automaker Daimler. 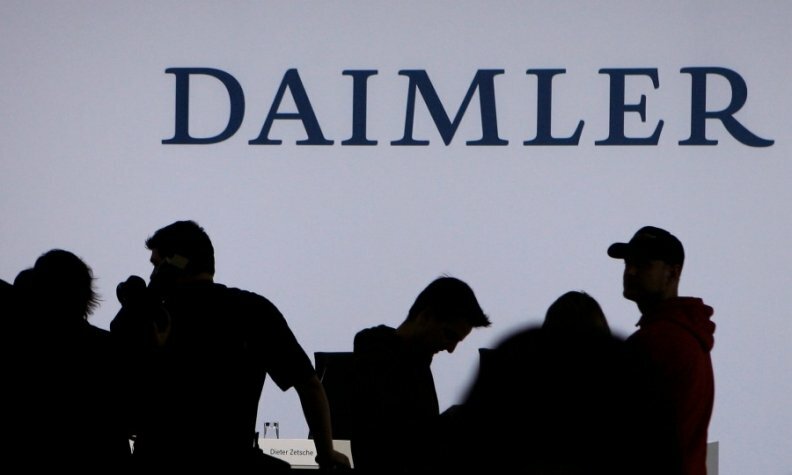 Geely announced its 9.7 percent stake in Daimler late on Friday, surprising the market as it had not previously disclosed having crossed regulatory thresholds of 3 and 5 percent. Economy minister Brigitte Zypries stuck to Berlin's position that the Chinese automaker's swoop was a business decision that she would not judge. But, in interviews released on Monday by Daimler's hometown newspaper, the Stuttgarter Zeitung, and business daily Handelsblatt, she said investors must abide by market rules. Germany's openness must "not be used as a gateway for other countries' industrial-political interests," she added in the Handelsblatt interview. Financial and markets regulator Bafin, which oversees the proper disclosure of stakes, said on Monday it was not yet ready to comment on Friday's announcement by Geely. Geely said it wanted to forge an alliance with Daimler, which is developing electric and self-driving vehicles and is the only one of Germany's automakers not controlled by a family. Daimler said in a brief statement it welcomed its new long-term shareholder, with whom it could "constructively discuss the change in the industry." Zhejian Geely Holding also owns several other automakers including Sweden's Volvo Cars, London's black-cab maker LEVC and its own Geely Automobile Holdings. It has agreed to buy a $3.3 billion stake in truck maker AB Volvo. On Monday, there was the first sign of upset in the industry as AB Volvo dropped the chief executive of Geely's Volvo Cars from its board, citing competition concerns with Daimler trucks. Germany has tightened its rules on foreign corporate takeovers, becoming the first EU country to do so last year, following a series of Chinese deals giving access to Western technology and expertise. The biggest such deals had taken place earlier in 2017, with Chinese home appliance maker Midea Group buying German robotics firm Kuka, and Hong Kong billionaire Li Ka-shing's buying German metering firm Ista, each at a price of 4.5 billion euros ($5.5 billion). EU trade ministers will meet this week to discuss a range of issues including how better to protect strategically important European companies from unwanted investors. But under current German law, the government can only become active if a stake threshold of 25 percent is exceeded, a government spokeswoman told a news conference on Monday.